NFL Week 5 Picks Kansas City Chiefs vs Indianapolis Colts Betting Odds - The Vegas free NFL Week 5 Picks clash set between the Kansas City Chiefs versus Indianapolis Colts at Lucas Oil Stadium will get underway at 1:05 PM, as the Kansas City Chiefs look to earn a free NFL picks win on the road in Indianapolis . The Kansas City Chiefs vs Indianapolis Colts NFL Week 5 Predictions matchup will be televised at 1:05 PM, and all sportsbooks will close wagering shortly before kick off at Betus Sportsbook 100% Sign up Bonus. The Indianapolis Colts are coming off a 31-28 free NFL picks LOSS as a -7 favorites on 2010-10-03 against the Jacksonville Jaguars. The total score fell OVER the NFL Vegas Betting Odds posted 46.0(u -110). According to the current Las Vegas odds available from the internet's top Vegas style online sportsbooks. The NFL Betting Odds makers currently have the Kansas City Chiefs listed with +8 -110 Betting Odds posted as the underdog versus the Indianapolis Colts who are currently set as the favorite with -8-110 Betting odds. If you are an over/under Vegas NFL odds bettor, the Vegas run line is currently posted at 44.5(u -110). Over is 8-1 in Colts last 9 games after accumulating less than 90 yards rushing in their previous game. 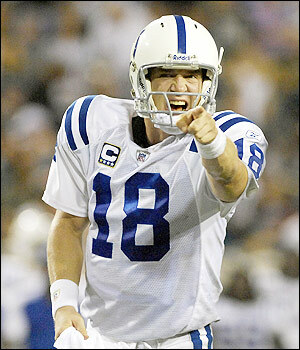 Over is 6-1 in Colts last 7 games after accumulating more than 250 yards passing in their previous game. Over is 5-1 in Colts last 6 games in October. Over is 4-1 in Colts last 5 games on fieldturf. Over is 7-2 in Colts last 9 vs. AFC. Under is 6-2 in Colts last 8 games after allowing more than 150 yards rushing in their previous game. Over is 8-3 in Colts last 11 games overall. Over is 7-3 in Colts last 10 games as a favorite. Vegas-spreads.com NFL Week 5 Picks Kansas City Chiefs vs Indianapolis Colts OVER the total.